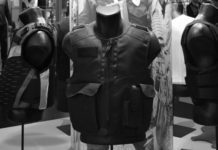 The widow of a Georgia police officer has filed a federal lawsuit against bulletproof vest manufacturer Armor Express after her husband was killed when his armor failed to stop bullets from penetrating his back. In the lawsuit filed in a U.S. District Court, Tammy Jordan claims the vest her husband Kevin Jordan wore the night of the incident did not meet federal standards. 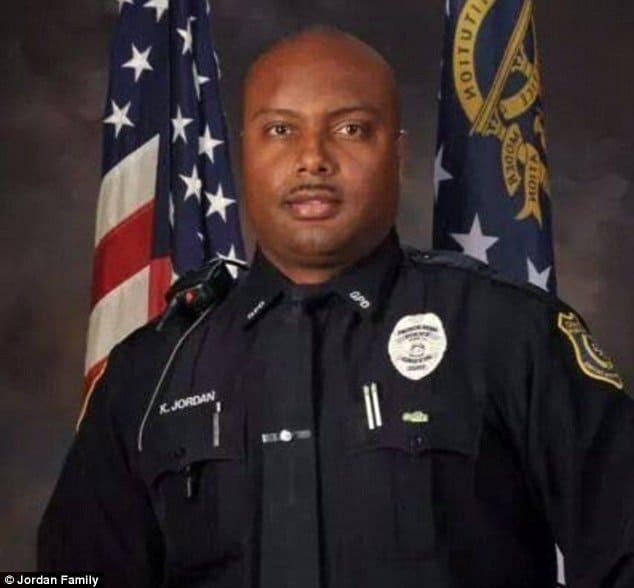 Jordan, an officer with the Griffin Police Department, was killed after he was shot five times while trying to break up a fight at a Griffin Waffle House in 2014. In response, Armor Express had vehemently denied the allegations that its vest did not meet the standards. Company attorney John Dixon said the company had yet to see the vest and wasn’t given exact information about it including how the vest was worn or where the officer had been shot. Tammy said her husband’s vest was supposed to protect him from bullet wounds and bullets from a .40-caliber handgun in his low, middle and upper back regions. He said the armored vest was covering these specific areas when Jordan was shot in the back. Kevin was 43-years-old and the father of seven. Tammy is suing the company for both herself and the kids. The lawsuit states Jordan worked a second job as a security guard when he attempted to detail a man that was fighting with Waffle House patrons on May 31, 2014. A grand jury indicted the suspected shooter Michael Dwayne Bowman on a multitude of charges like the aggravated assault and murder of a police officer. Armor Express, which also works under the name of Central Lake Armor Express in Central Lake, Michigan. Its website claims the company has worked with various entities such as the U.S. Air Force, Army, and Navy as well as many U.S. and International police departments. The website cites instances of shooting where the company claims its body armor has saved many offers from injury and death including the February shooting of a Lawrence County, Ill. sheriff’s deputy and a Lockport, New York deputy in April 2015. 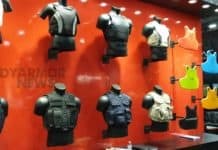 Previous articleShould There Be Any State or Federal Regulations On Body Armor?